Are We in Need of a Neuromorality? Armed with an array of tools that sound like an intergalactic arsenal straight from Star Wars, modern neuroscientists are increasingly well equipped for forays to the frontiers of the human brain. 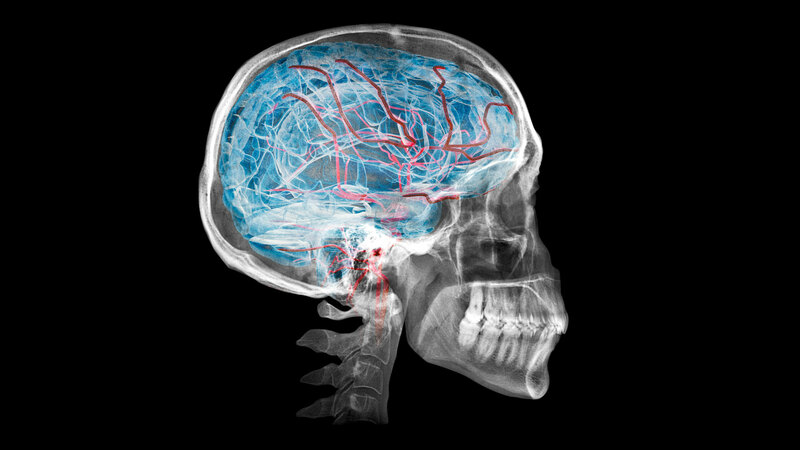 Through the use of positron emission tomography (PET), near infrared spectroscopy (NIRS) and functional magnetic resonance imaging (fMRI), neurotechnology is probing the brain with increasing precision and positing biological explanations for human behavior. Neuroscience’s ability to observe the brain’s activity brings with it great promise. However, it simultaneously raises intriguing issues that reach well beyond the research laboratory and into the everyday lives of people. It would appear that early into the 21st century we have arrived at the threshold of asking not whether we can monitor and manipulate brain function, but rather ought we? Therefore, faced with the familiar tendency of ethical questions to trail technological advances, the fledgling field of neuroethics—like its predecessors, medical ethics and bioethics—finds itself in a race to catch up with leading neurotechnological trends. If neuroscience, with its developing technologies and techniques, can consistently and reliably demonstrate individual psychological traits and/or medical predispositions, what moral framework or ethical guidelines will govern its possible uses? Is there a need for a neuromorality? Current brain imaging technology is in the process of correlating patterns of brain activity and psychological and personality traits. “Brainotyping” appears to have the potential to identify mental health vulnerabilities, predisposition to violent crime, racial attitudes, risk aversion, pessimism, etc. Most neuroscientists are quick to mention that brain imaging in its current state of development is helpful and informative but far from conclusive. Nonetheless, the potential is real, and ethical questions are beginning to be asked about prospective applications of these scientific advances and the information they might generate. Practical and philosophical problems associated with brain privacy, performance augmentation, and the very nature of personhood are among the areas of concern. If neuroscience can provide the means to expose predispositions and thus predict behaviors, it will challenge our cultural understanding of personal privacy and when or if society has the right to know what an individual is inclined to think or do before he thinks or does it. Wouldn’t auto insurance companies be interested in identifying persons with a proclivity for risk-taking? Medical insurers would surely benefit from knowledge of the medical predispositions of their prospective clients. Can we envision a time when neuroimaging would be used to screen applicants for employment? Could the college admissions process someday be supplemented by brain scans to weed out candidates who would likely be diagnosed with schizophrenia during their college years? If neuroimaging could help us discover increased blood flow or brain activation that signaled a predisposition for pedophilia, would it matter whether the information was obtained directly or surreptitiously? With whom should such brain-based knowledge be shared? Should we intervene before the committing of a crime, or perhaps require counseling, notification of neighbors, or the person’s disqualification from jobs with children and adolescents? Is the presumption of innocence rendered null and void by a brain-scan prediction? If we deem intervention at this stage unacceptable, how would we face the parents of a potential victim knowing we had foreknowledge of the likelihood of a heinous crime being committed? What could be more natural than the impulse to improve? Doesn’t the desire to develop and become better at mastering life’s skills seem instinctual? Isn’t the desire to do better inherent within human consciousness? What if “doing better” came in a capsule? These medications, designed to help individuals with a cognitive disorder, are being used for cognitive enhancement by healthy students who claim that they study better and longer and earn higher scores on exams. Psychopharmacology is poised to play a major role in augmenting brain activity. Mood alteration, memory boosts, appetite suppression, improved libido, focused attention and alertness are not only possible but currently practiced through adjustments in brain chemistry. Increased sophistication in technique and treatment is expected. Are human effort, ingenuity and accomplishment to be recognized in the same way, whether enhanced or not? In the athletic arena we traditionally say no. Olympic and professional athletes discovered attempting to augment their performance by drugs are disciplined or disqualified. What about the academic classroom or the boardrooms of the business world? Is a college student competing for admission to law school unfairly disadvantaged if others are using psychostimulants to enhance their study skills? Are the enhancers cheating? Is the stressed professional who uses the wakefulness-promoting agent modafinil to stay alert and get more work done in a day playing fair in the pursuit of recognition and reward? Should we even be concerned? Are these examples any different than drinking a sufficient quantity of coffee to “pull an all-nighter” and thereby finish a paper at school or a proposal at work? What is the defining distinction between a person and a thing that, according to Farah, appears to be eroding? For many, the slippery slope is the distinction between the brain, a physical organ of the body, and the human mind exercising free will. Are you your brain? Or is there something else that makes us human beings? Biological determinism, in attempting to answer that question, presents a comprehensive explanation of human nature and behavior based on the brain’s physiological processes. It professes that human conduct arises from the hardwiring of the brain and that free will is implausible. Steven Pinker, professor of psychology at Harvard University, resists the “determinist” label but nevertheless concludes that free will is an irrelevant concept because we are the sum total of our brain’s purely physical mechanisms. If that is so, are we responsible for our attitudes and actions? Pinker proposes that instead of asking whether an individual is personally responsible, we should ask “Does the person have an intact version of the human brain system that ordinarily responds to public contingencies of responsibility?” He suggests that a new neuromorality should focus on exploring and establishing contingencies that can deter inappropriate behavior and not concern itself with personal culpability. The disease model, as applied to human behavior, implies that we are helpless victims of our brain’s biochemical reactions, that our brain-based behavior is an irresistible physiological imperative. Psychiatrist and scholar Sally L. Satel argues that, using this model, an addicted person is understood to be unable to control his behavior. However, she suggests that an addict is actually someone who does not control his behavior and has the perception that he is helpless. The primary purpose of drug treatment is to teach the addict that he is not helpless at all, that he has clear-thinking periods in which he makes dozens of microdecisions every day that contribute to whether he continues to use or not. Individuals with a brain disorder such as schizophrenia cannot decide not to hallucinate, just as those with multiple sclerosis cannot choose not to have spasticity. On the other hand, Satel contends that addicts can—and often do—choose to modify their behavior. Even among a seemingly open-minded public, most people still believe that they have a mind as well as a brain and that the two are not the same. Advances in neuroscience appear to collide with this almost universally held belief. The Judeo-Christian ethic, deeply rooted in Western civilization, has at its core the belief that man is a free moral agent made in the image and likeness of God and accountable to his Creator for his life’s conduct. The apostle Paul describes this concept in his first letter to the church at Corinth. He writes, “For what man knows the things of a man except the spirit of a man which is in him?” (1 Corinthians 2:11). Paul describes a spirit component in man that enables him to function as a human being, “to know the things of a man.” Could it be that we intuitively acknowledge that we are more than complex biochemical entities because we have “the spirit of man”? Could it be that there is a nonphysical feature that resides in us and functions in conjunction with a healthy human brain system? Impossible to prove scientifically, but plausible to people of sincerely held conviction, is the belief that human beings have minds capable of a relationship not only with each other but with God. Before we embrace the tenets of a materialist neuromorality, perhaps we should revisit the Judeo-Christian ethic to examine whether it has indeed failed us or whether we have simply failed to appreciate, respect and apply it. In anticipation of increased interest in performance enhancement, neuroethics, to its credit, is attempting to prepare for the challenges ahead. More invasive and sophisticated methods of brain manipulation and enhancement are currently being explored, such as brain nerve stimulation, brain surgery and brain-machine interfaces. How brain research is conducted, what it discovers, and how society will use these findings are issues of great interest, with implications for many aspects of human experience. Martha J. Farah, Ph.D., “Neuroethics: The Practical and the Philosophical,” Trends in Cognitive Sciences (January 2005). Sally L. Satel, M.D., and Frederick K. Goodwin, M.D., Is Drug Addiction a Brain Disease? (1998). Science and Sensibility: Do Humans Have a “Moral Sense”?